If you know about Danganronpa, you know roughly what you are in for with regards to this new addition to the franchise; over the top character designs, dark comedic violence brushed off with colorful visuals even in death scenes, and a fun mystery to uncover. 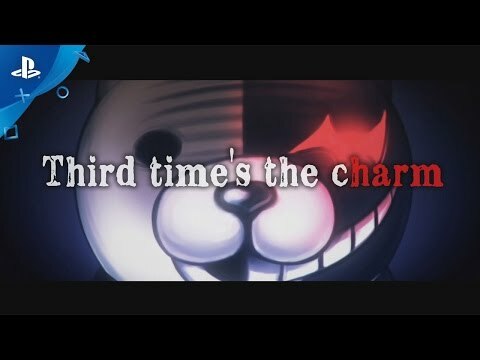 Danganronpa V3: Killing Harmony seems to ramp up the scale of both the mechanics and what the creator, Kazutaka Kodaka wants this insane world to be. We’ve traversed brutal landscapes, escaped school trials, and now we are forced into yet another facility to fight against other ultimate students. Yet this time we have only delinquents in this group. Yes this time you are fighting against people who are used to conniving for a living, much like the apparent Ultimate Dictator. The group this time looks just as fun as in past games, but the tweaks to the trial mechanics could cause some interesting scenarios, as you will have to debate sides with others, allying yourself with those around you and not to mention, you need to lie in order to find the truth this time around. If you didn’t think the system was complex before, here’s hoping that this version will change that mindset. To a fan of the franchise, Killing Harmony seems to be on its way to continuously flesh out this crooked world run by the malicious Monokumas! It may also serve as a good gateway for newcomers because this is not supposed to be a continuation from the previous games and television show. This might be the start of another section to Danganronpa, and I for one am all aboard the crazy train!